Prof. dr sci. Jerzy WOYKE, dr hon. cau. Awarded 29.07.1999 by American Computer Resources, Inc.
drawn by J. Woyke are presented. 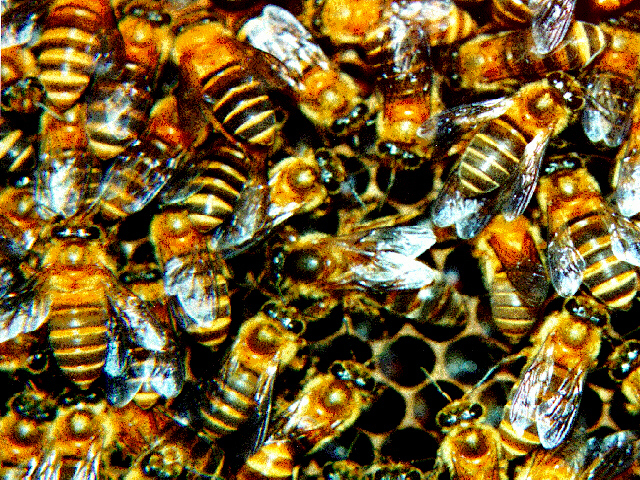 In European honeybees, all three types - workers, queens and drones are of the same color. and gene ybl in A. m. mellifera. 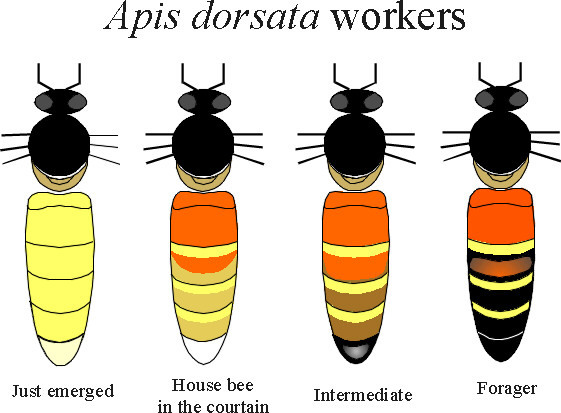 In A. dorsata gene Do governs the expression of body color. The color is linked to the sexuality. 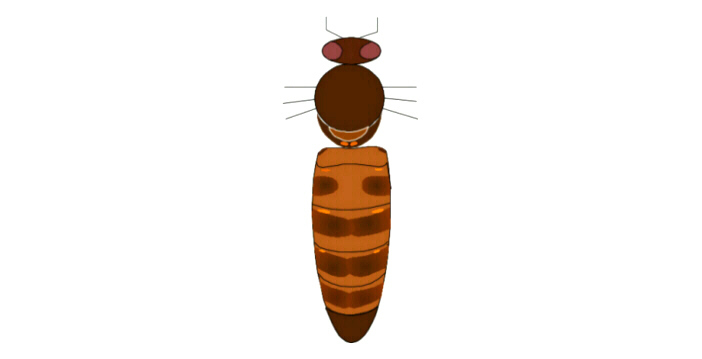 In A. cerana gene Ce governs the expression of body color. The color is linked to the sexuality. 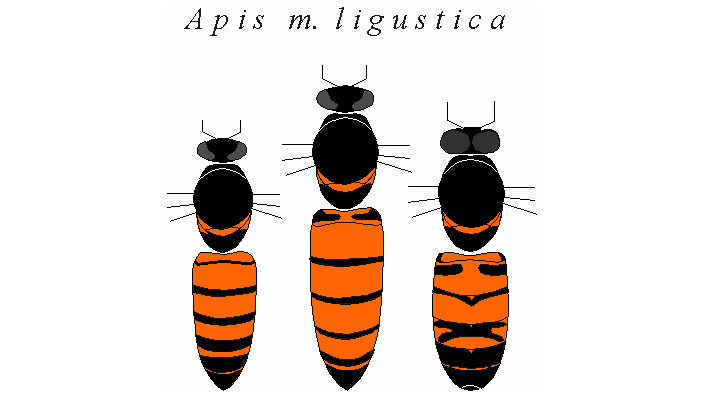 1 EXPRESSION OF BODY COLOR IN ASIAN HONEYBEES. Paper presented at International Conference on Tropical Bees & the Environment. 11-15 March 1995, Pedu Lake, Malaysia. Paper presented at International Conference of Asian Apicultural Association, 23-28 March 1998, Katmandu, Nepal. First detailed presentation of body color of worker bees, queen and drone. Body colors are presented left of the perpendicular line. Hairs colors are presented right of that line. 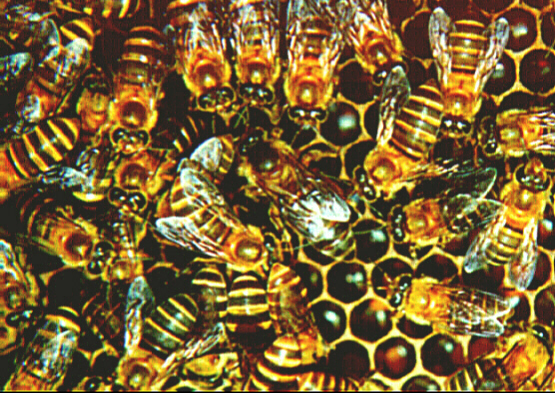 In A. koschevnikovi gene Ko governs the expression of body color.Workers, queens and drones are dark brown banded. However, the light colr is linked to the sexuality. It is light orange in imperfect females - workers, and light brown in the sexuals - queens and drones.